Joseph Conrad once said, “When one is young one must see things, gather experience, ideas; enlarge the mind”. 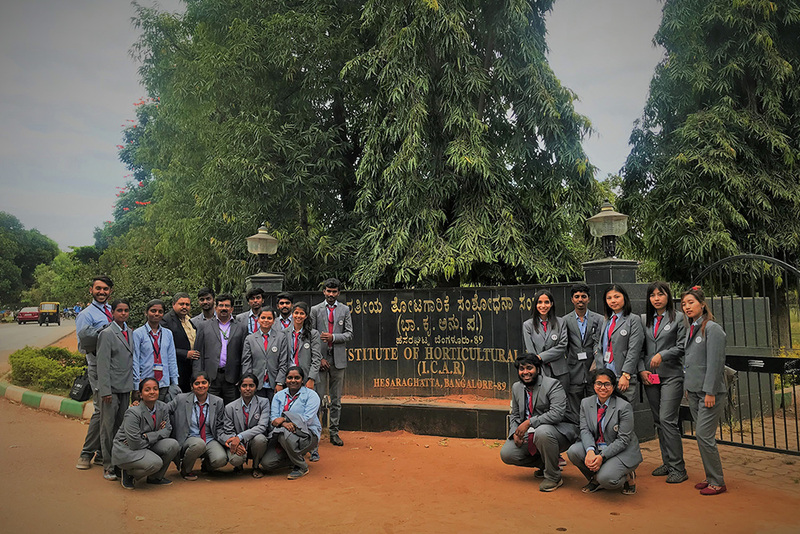 With the aim of providing the students with extended industrial knowledge, Krupanidhi College of Pharmacy organized a one day academic visit to Indian Institute for Horticultural Research (IIHR) Bengaluru for the final year B Pharm Students on 15th Nov 2018. Breaking free from the monotony of books and classroom, 53 final year students got a peek into the world of large scale research and knowledge on the nub of its practicality. The IIHR has its main research station at Hessaraghatta, Bengaluru with 263 ha of land which also houses the Project Coordinating Cell of the All India Coordinated Research Project on Tropical Fruits. Krupanidhi College of Pharmacy extends gratitude to Dr. P E Rajashekaran, Principal Scientist, Department of Biotechnology at IIHR for supervising and disseminating knowledge to the students during the visit.